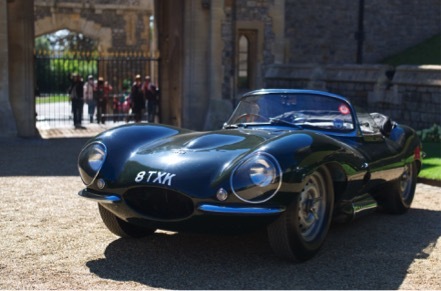 The Jaguar XKSS is one of the most sought after British vintage sports cars due to its rich heritage and low production numbers; only 16 cars were built, of which 12 are known to collectors. The XKSS was based on the hugely successful D-type, which was withdrawn from competition at the end of the 1955 season. Sir William Lyons decided to then convert a number to full road going specification in 1957, which is how the XKSS was born. The basic structure of the D-type remained, but for comfort (and legalities), a full-width windscreen and sidescreen were added, as well as bumpers and an optional canvas hood. The engine was transferred from the D-type to the XKSS, with all-round disc brakes fitted to help improving stopping power. These were, of course, developed with the help of Jaguar’s legendary test driver, Norman Dewis OBE. Famous owners and collectors of this iconic car include Steve McQueen (who owned the same car twice), while the XKSS formed part of the James Hull collection, in which it sat alongside a C-type and a D-type.